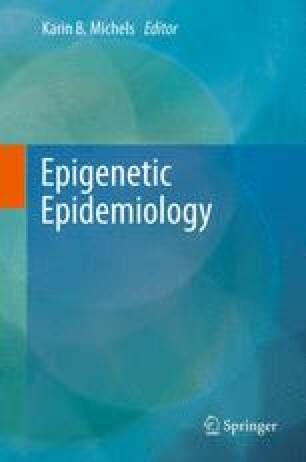 Asthma Epigenetics: Emergence of a New Paradigm? Asthma is a disease that is influenced by environmental exposures, including those that occur prenatally. Recently, epigenetic regulation has been posited as an explanation for how environmental toxicants may induce asthma-related immune responses. However, our knowledge of the epigenetic regulation of asthma lags substantially behind our understanding of the epigenetic regulation of other complex diseases such as cancer. Fortunately new data are beginning to emerge. These include translational data from molecular experiments that implicate epigenetic regulation in T helper differentiation and/or the development of T regulatory cells, important in allergic immune responses. They also include a growing collection of cohort studies that associate epigenetic regulation with several components of the asthma clinical phenotype. So far these clinical studies are small, often unconfirmed, and only have started to address key issues relating to tissue specificity. Nonetheless, these studies provide a preview of what future research may reveal and raise the possibility that previously held paradigms for asthma pathogenesis may, and perhaps should, be changing.